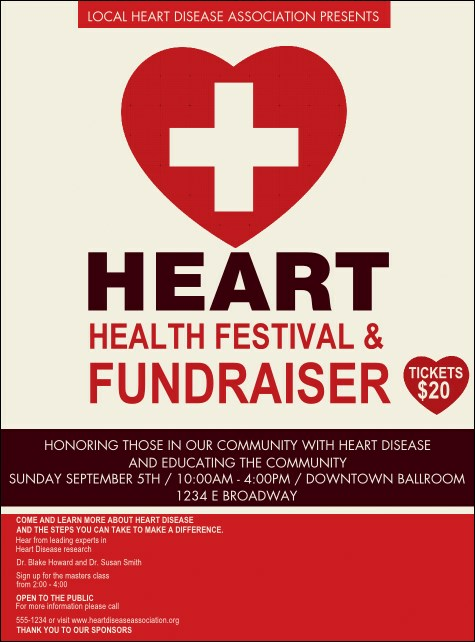 Get the blood flowing for your event promotions when you post the Heart Health Flyer in advance. This red, white and maroon flyer template uses a simple, smart design to get out your important message. Advertise your fundraiser, blood drive or health fair with this flyer and remind your community to take their health seriously.